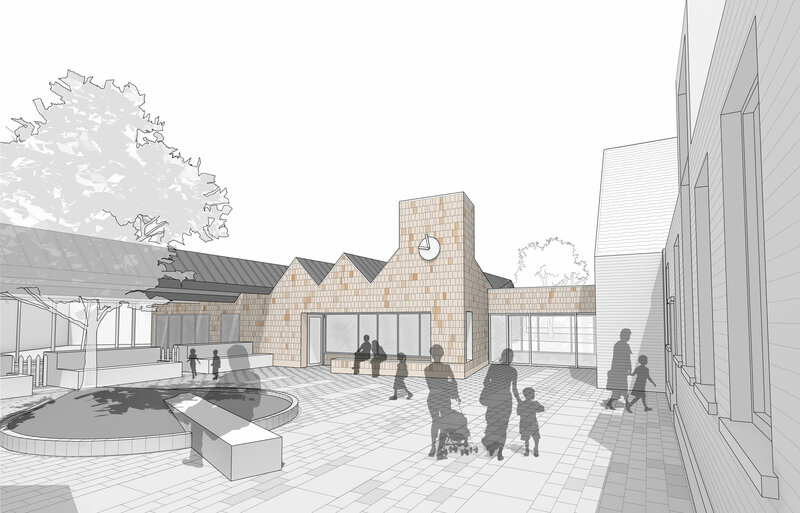 Pegasus Academy - Phase 1 - Hayhurst and Co. 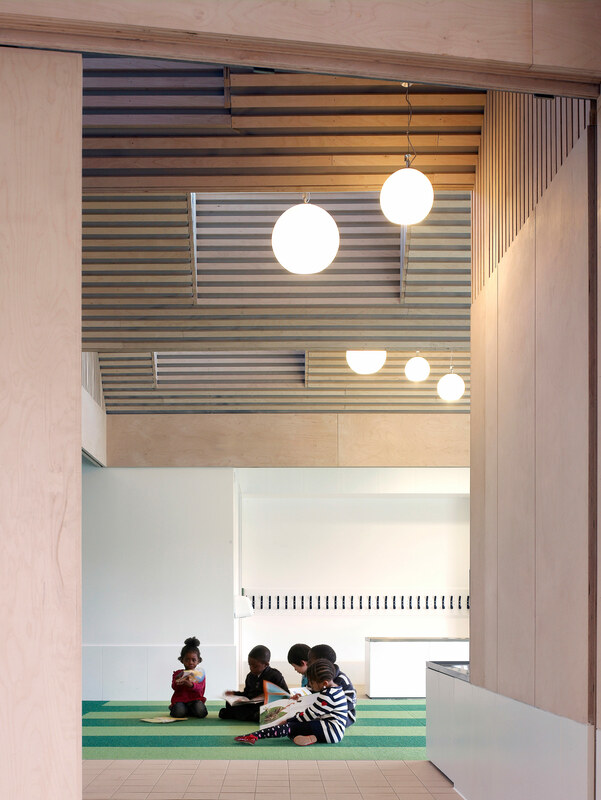 The remodelling and expansion of Pegasus Academy brings together a fragmented site with a series of interventions and extensions that thread new teaching spaces through a complex fabric of existing buildings. 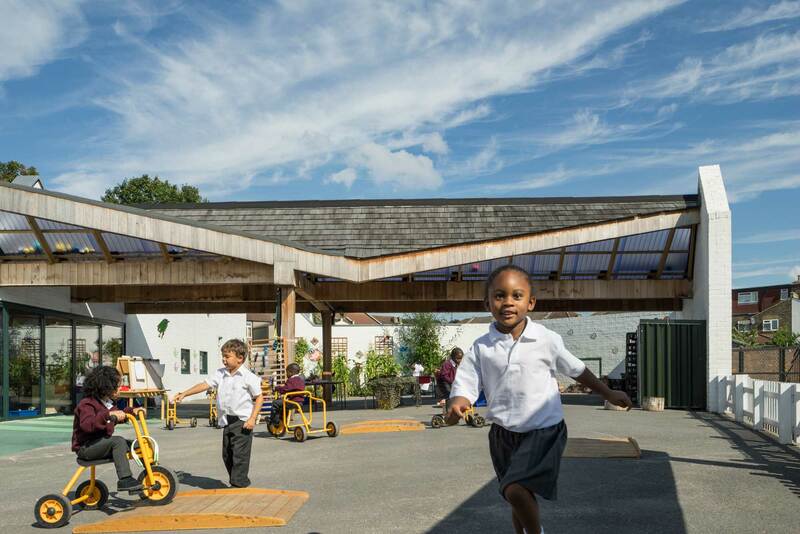 The result is a striking transformation of the school that clearly marks the civic pride and significance of a school at the heart of its community. 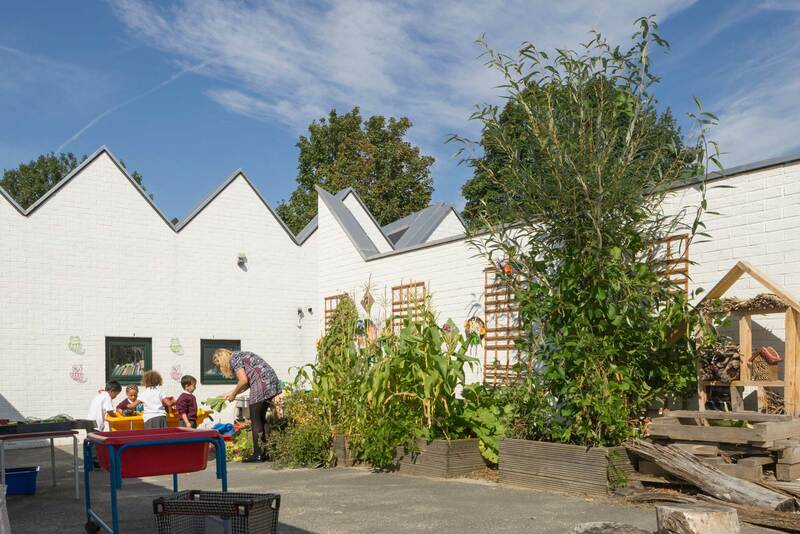 The first phase of the project involved the construction of a new nursery classroom, reception classroom and the refurbishment of two existing classrooms. 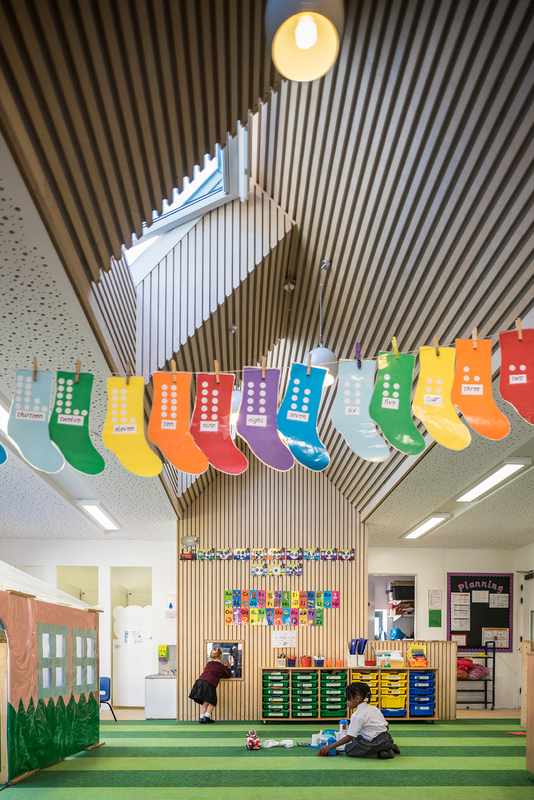 The new spaces are connected via a new ‘Reception Street’ – a space which connects all the teaching bases providing spill-out spaces for role-play, reading corners, art spaces and home corners. 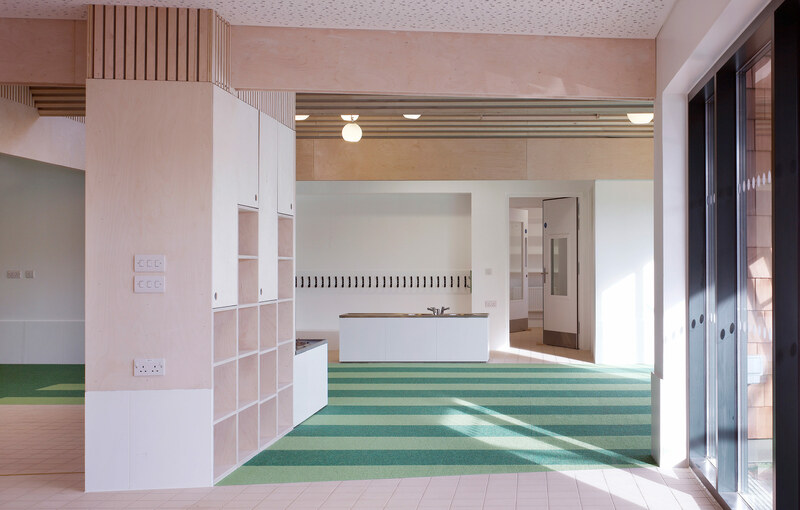 All of the new teaching spaces open up to a new external play area where the two-tone, stripy green carpets extended outside into two-tone, stripy green rubber-crumb playground area. This gives the sense of a freshly-mown lawn running inside to out – a little green moment in an otherwise grey and tarmacked site. 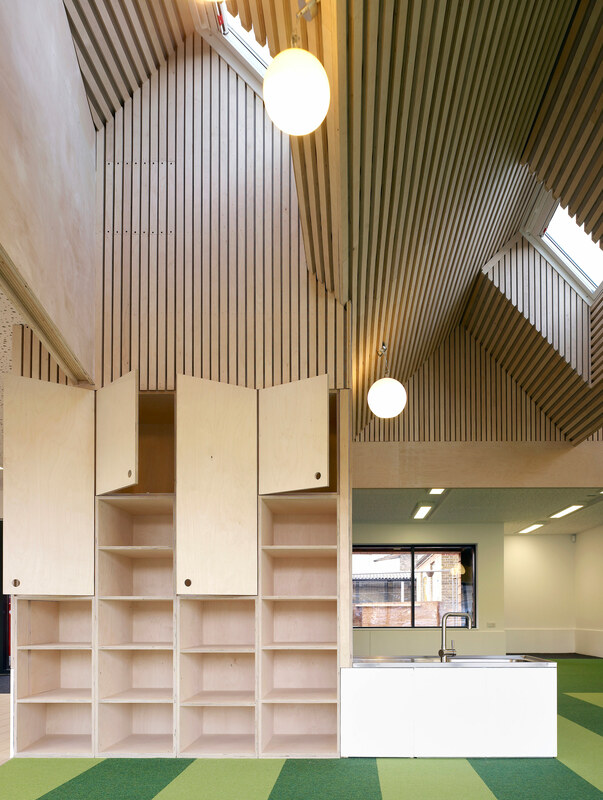 Internally, the cabinetry is arranged to provide for a flexible use of space. 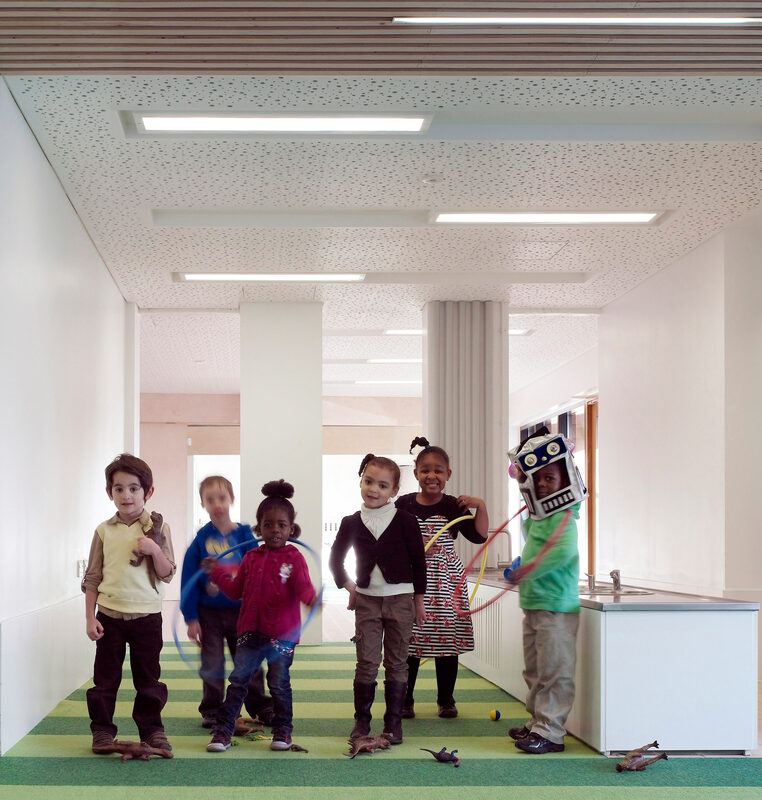 Wide sliding doors allow the spaces to be closed down for individual class-base teaching in the morning when children concentrate better and opened up for shared teaching in the afternoon for active learning. The miniature peaks of the nursery mimic the Victorian dormer windows of the adjacent Infant Hall. 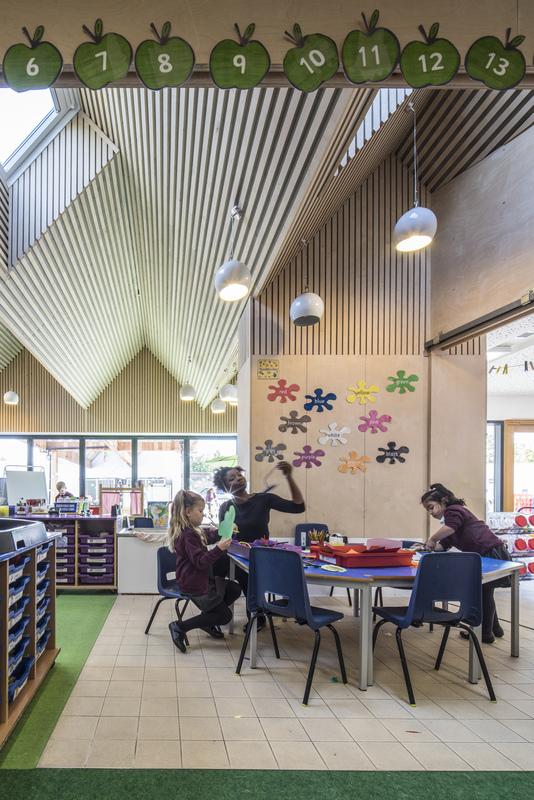 The scale of the pitches vary from one room teaching area to the next, growing in size in response to the age of the children and defining the form of the room beneath. 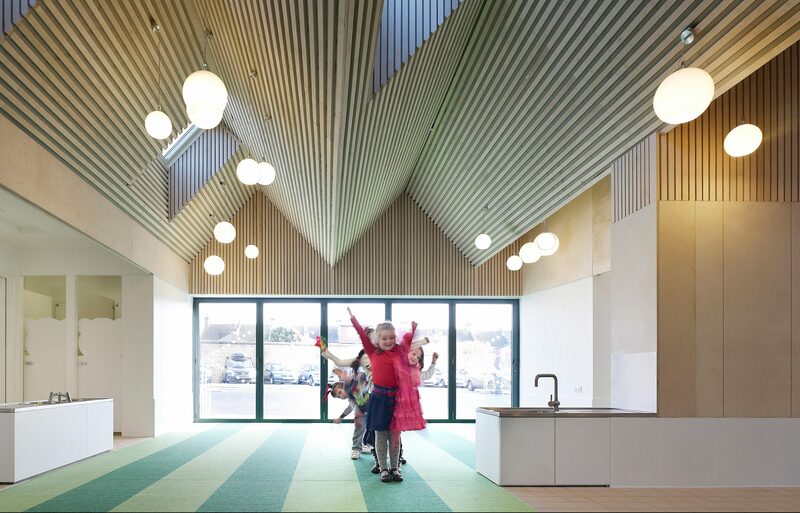 In the Nursery there is a single, small pitch defining the room for the youngest children which increases to multiple small pitches in the neighbouring reception classroom. 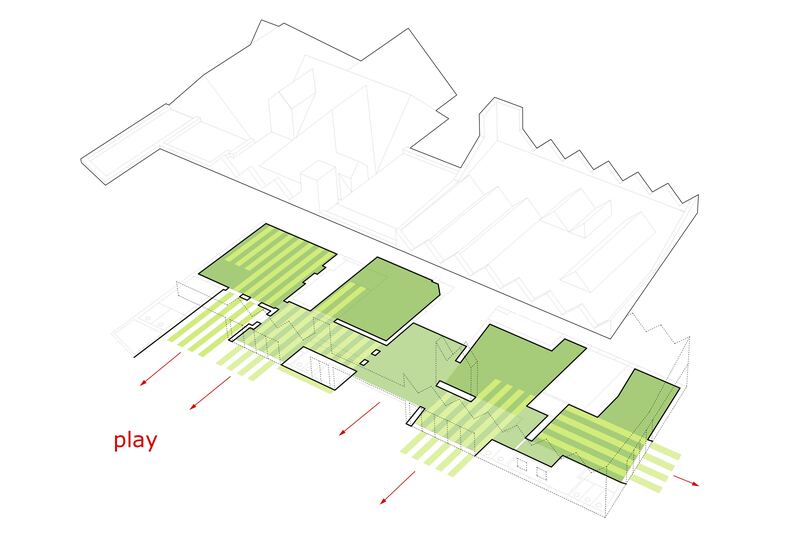 The pitches extend externally to form covered teaching spaces.